Ninja Blaster Is Not Free'ware Software , We Are Using a Trick To Use It Life Time . 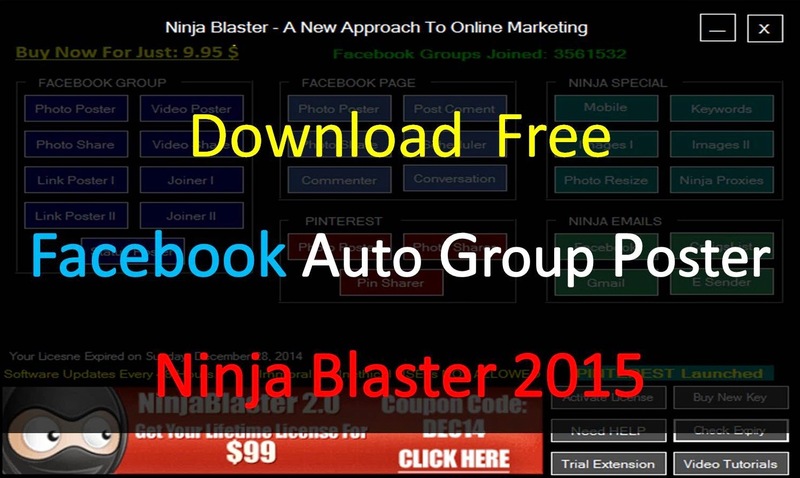 First Download Ninja Blaster 3 Days Trial Version From Here And Use This Software For 3 Days , After All Create New User Account In Window And Use Again For 3 Days , And Repeat This Method Again And Again And Keep Posting And Promoting Your Business. The new account should be standard or administrator? and you must reinstall the program?